Establish as much as possible about your ancestor's life beforehand. This will make your search easier, and it is more likely that you will find further information. Start building a historical framework for the life and times of your ancestor by studying the history of the era and region in which he or she lived. Then talk to grandparents, parents, aunts and uncles to find out what they know about the person you are researching. Close family friends may also be able to help. Other good sources of information are family Bibles, letters, photographs or diaries. Finding the relative who is the "keeper" of the family history may lead you to a wealth of information left behind by your ancestors as a clue to your past. Record the person's full name; including alternate spellings or nicknames. When people immigrated to Canada their names were often misspelled or arbitrarily anglicized, so once you determine the original spelling of the name, be watchful for possible alternatives. Many people have the same names and it is common for names to pass down through generations of a family. Where was the ancestor born? Did he or she have children, and if so what were their names? Determine date of arrival in Yukon and how the ancestor traveled, if mining claims were registered or property acquired, and if he or she was married or died here. 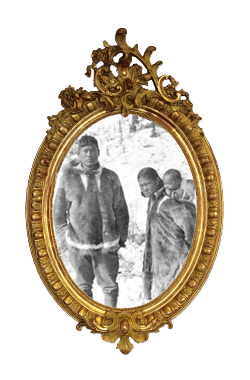 If your ancestor left the Yukon, when and how did he or she leave? Find out when the family moved from its home to a new place, where the ancestor worked, and if he or she belonged to any clubs or organizations. Once you have collected some names, dates, individual histories and places of residence, consider immigration records and other sources that may take you beyond Canada's borders. If you and a sibling or other relative are pursuing the information about the same ancestor(s), divide the jobs and avoid duplication. If different branches of the family are conducting family history research on the same group of ancestral siblings, pool resources, share information and gather together the details you find. Always make notes on what you learn and where you look. When interviewing family members, some advance preparation will help you obtain useful and interesting information. While an interview is just a planned conversation, some of the following hints may be useful in ensuring a successful, informative and pleasant discussion. Prepare questions in advance. Organizing your thoughts is the best way to start, and answers will lead to more questions. Pursue specific answers if information is not clear. If your relative speaks a different language, find someone to assist with translation or interpretation in advance. Make sure to introduce your interpreter at the start of the interview. Do not rely on your memory. Familiarize yourself with the use of a videocam or tape recorder; bring extra batteries. If your relative is uncomfortable with a recorder, take careful and extensive notes. Transcribe right after the interview so you don't lose details you might have neglected to write down. Start with more recent questions and work your way back in time. This will make it easier for the interviewee to recall information and help give them more confidence. Photographs will often spark memories. Ask to see your relative's photo collection, or bring yours to show. Ask for identifications of the faces in the photos, establish their relationships. Have enlarged photocopies of your photos to record information directly on the image. Ask about family traditions. Remember not to interrupt the interviewee. Let him or her tell the story. Keep sessions to a reasonable length, 45 minutes is plenty. Have tea or water available. Keep your interviewee relaxed and comfortable. It may sometimes be frustrating or difficult for them to remember, so ask if the interviewee needs a break at regular intervals. Pursue this direct initial research as far back as possible. There is a group of printable forms on this website to help you organize your research and keep track of your information sources. This is important; after hours of research, it will be difficult to remember where you have already looked. Always write down the sources you checked, even if you didn't find anything. Keep all of your charts and forms together in a binder along with your collected research material. Fill out the forms using pencil, the information you enter early in your course of inquiry may change considerably as you conduct further research. Initially, put any information that you can on the forms; this will give you an idea of areas you need to explore. Keep track of your questions; it's a good idea to keep scratch paper handy to jot ideas down as they come to you, so you can follow up on them later. As you begin your research, remember the basic rules of genealogy. Start with yourself and work backwards through each generation. Work from the known to the unknown. Write down what you find and where you found it: which institution, collection of records, volume and page number. For many Canadians (unless you are of First Nations descent) your family may only have lived in Canada for several generations. The Links to Other Sources of Information & Websites found in this website will help you contact different institutions or archives for documents that may assist in establishing your family's past, including immigration records, military records, census information, and naturalization or citizenship papers. Check your local library for genealogical "how to" books. Learn the history and geography of the regions where your ancestors lived. Review other resources available on the internet. Talk to friends, relatives, or local family historians who have experience with genealogical research and ask for their suggestions. Genealogists like to share! Don't get discouraged by blank spaces. Often, these offer direct clues to where you should look next! Genealogical research requires thorough detective work as each new piece of information can create another lead. You will need patience and diligence but success is very rewarding. Click on the forms below to access Adobe PDF files. If you do not have Adobe Acrobat, you can download here. © 2019 Yukon Government. All rights reserved.